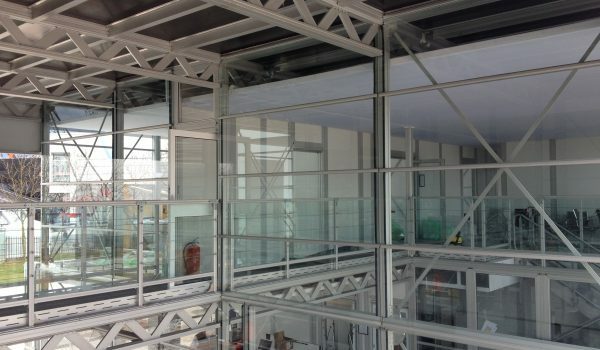 Designed for designers and developed by Worldwide Structures Ltd, the Space Building System™ is an innovative and technically sophisticated temporary building and exhibition system, designed to create stylish, contemporary structures. The system is ideal for designers who want to create a show stopping structure, whatever the size or space they have available to work with. The Space Building System™ is built from the ground up. Its all-terrain, load bearing floors can be laid anywhere even on difficult ground such as sand or over water or where space is limited. 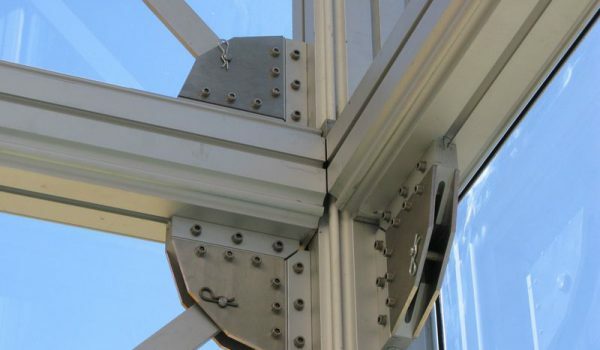 Once in position the rest of the system – including walls and doors – simply clips into place. 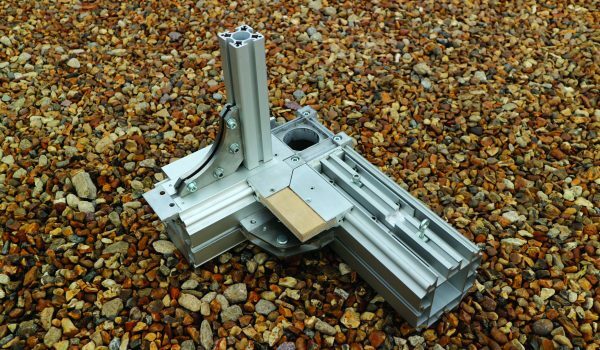 All the floor beams, support columns and roof beams are constructed from the same ‘thirteen cavity’ extruded aluminium profile. This unique, patented, profile is 130mm x 130mm with a dovetail on each corner. The system is totally integrated and the size and scale of structures are only limited by the number of components available.